We sat side-by-side on the couch. Scrolling through Facebook she stopped to show me a picture. A dad, in a suit and tie, down on one knee next to his precious princess daughter. Unfortunately, my mouth opened before my grace/life-giving filter turned on. (insert wide-eyed face emoji) Woah, Heather. Simmer down. What kind of person gets angry when they see little girls in fancy dresses? I don’t like being excluded from fun. Missing out is not my favorite. I’ve (eventually) come to love being an all-boy mom. But, apparently, there was more heart work to do. And I should be able to see pictures of happy little girls and not twinge with jealousy. Thankfully, God is gracious and Sunday morning He gave me new perspective. . . Yes, my husband will never get to experience the joy of taking his daughter to a dance, watching her in a recital or walking her down the aisle. 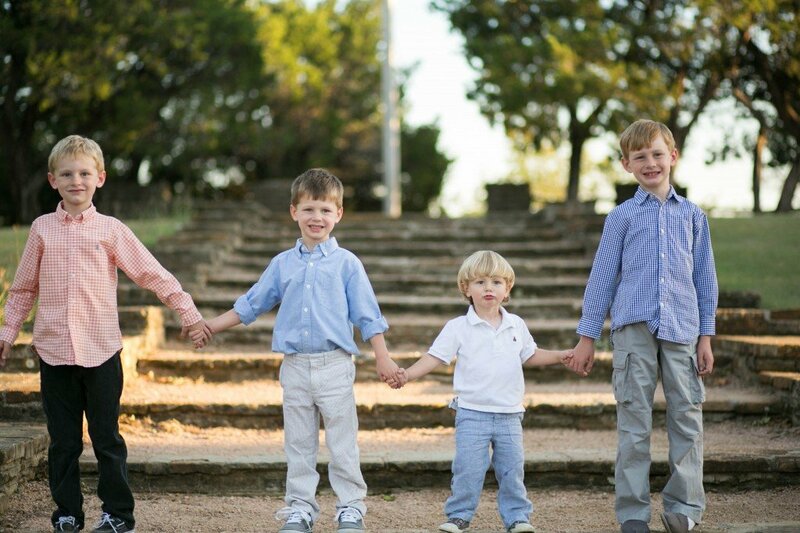 I have four (pretty cute) sons. There’s a good chance at least one will be waiting at the altar for a beautiful (Jesus-loving) girl to be walked down the aisle by her father. Of course, I want a daughter-in-law who has a healthy relationship with her father. A girl who requires a man to treat her with respect because her father always has. A girl who will honor my son the way she honors her father. 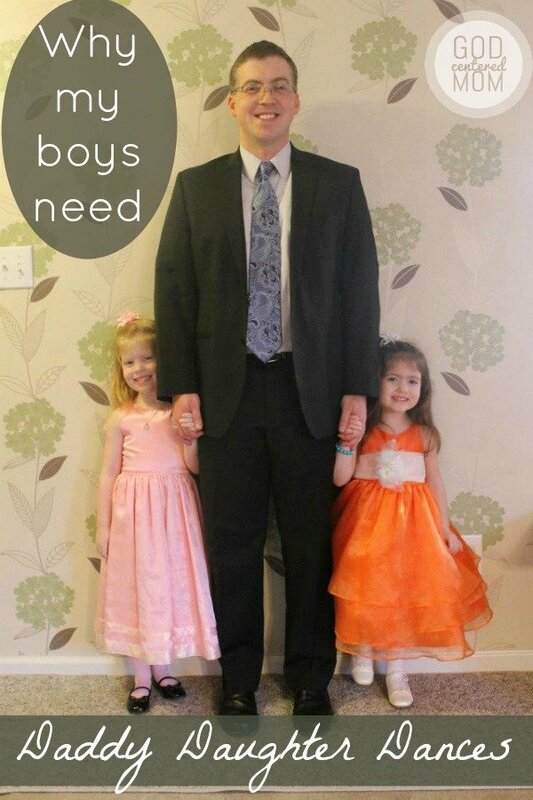 A girl who knows the kindness and gentleness and attention of a father’s love. A girl who doesn’t struggle to know her heavenly Father’s love because she’s known it here on earth. I don’t remember ever going to a daddy-daughter dance. Maybe they didn’t exist or maybe they weren’t for homeschool girls (back to the missing out issues). But I do remember dancing with my daddy. Waiting for him to walk through the kitchen door. Running to his open arms and letting him twirl me in circles. He may not have taken me to a formal dance, but every other week he took me on a donut date. After picking out a sprinkled donut, we’d sit down with my Precious Moments Bible. He’d listen to whatever mattered most to me. We’d pick a Bible story and discuss it. There would always be prayer. Sadly, it’s taken me decades to appreciate the relationship I’ve taken for granted. He helped my marriage before I’d even said, “I do.” He gave me a way to view my husband long before I even knew what my husband looked like. Not all little girls dance with their daddies. Not all little girls get invited to go on a first date with a man who loves them unconditionally. Not all little girls know what it means to be treated with respect and attention. And so even though I’m sad we don’t have a little girl wearing a ruffly pink dress headed off to a dance with my sweet, curly-headed husband, I’m choosing to be thankful. Because other little girls are. And other dads are willing to go. And even more wonderful those dads are beaming; honored with the chance to treasure their daughters while they can. And one day? That sweet little girl will wear a white dress, holding her dad’s arm, his face again beaming. . .walking down the aisle towards my son. My son’s marriage will begin on stronger footing because a dad danced with his little girl. (now to get some new perspective on ballet recitals before those pics hit Facebook). Oh my oh my. I stumbled on your blog through my friend Jennifer Hughes. I can’t even explain the punch in my gut on daddy/daughter dance days & dance recital days! My husband literally usually finds me sobbing in my room. And I have 2 healthy prefect boys. So I’m sobbing about missing out on the girl stuff and because I feel so much guilt because I have friends that would give a limb for 2 healthy boys and I feel like I’m not being thankful in those moments. I hope we aren’t done having kids- but even if we are blessed with more sweet boys I’m thankful for this perspective & pray I don’t burst into tears every time there is a daughter on a dads hip during worship service, some dumb hallmark commercial! I usually don’t comment on blogs- but this just hit so home for me! Thankful! Oh sweet fellow boymom and fellow friend of Jennifer. . .thank you for taking the time to comment. I totally understand the guilt when you have two beautiful healthy children and yet feel sadness. I want to encourage you that I truly truly don’t get as sad now that my boys have gotten older. It is such a high calling, being a mom. I know God must know what He’s doing. If He thinks me worthy and able to mother four boys, then I trust Him and want to honor Him in my love of those boys. I’m praying for your heart. Helps to find other boy moms to share your feelings with and to get your “girl time”. blessings. This resonated with me in a BIG way. I’m bawling. I struggle with this all the time. Thank you for being so transparent and sharing how you deal with those jealousy and missing out emotions. I have two boys and I feel like every time I turn around something hurtful is said about “those boys” or “you know how boys are.” My in laws did not even try to hide their disappointment when we told them our #2 was another boy and my mother in law repeatedly tells me that daughters are yours forever but when you have sons it’s just not the same. I’ve only blown up once or twice. Well, someone has to raise the Godly husbands!!! I’m thankful for you! I’d like to point out there are not only Daddy/Daughter dances but Mother/Daughter teas and yada yada mother daughter everythings. But I’m not bitter, haha! We need to start a mother/son event. The way sons view and treat their mothers show them how to treat a future wife. Please write more about these type of issues. God is using you! thank you Vanessa for sharing your own heart on the topic. I’m so sorry to hear about the hurtful things that have been said to you. I can relate, for sure. I also get, “aren’t you going to try for a girl?” and “I’m so sorry. No girls, really?”. 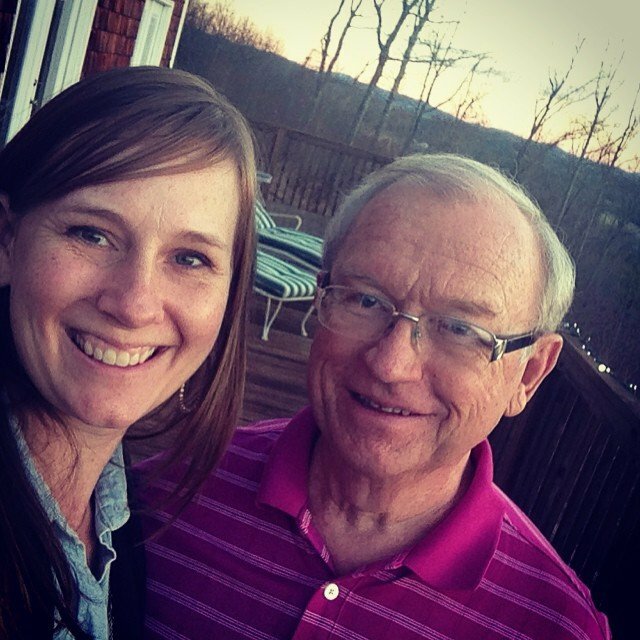 Thankful each time I called my parents to tell them the gender my dad would say, “Well, the world needs more godly men.” 😉 I’m all for more mom-son events. I have some thoughts I’ll share in future posts. Thanks for your encouragement. I struggle too friend…with not having a son, a mama’s boy. But, like you, I also love being a mom of the children that the Lord has given me. So, you keep raising those Godly men to treat women like my husband treats his daughters. 🙂 I want to know that there are God fearing men of integrity waiting for them one day. ahhh. thanks. and “take a second look”. . .i like that. What a blessing and encouragement you are to young moms, and especially boy moms. You chose to focus on the positives, praying for those little girls who may one day be daughters-in-law. Ahhh, eucharisteo! And btw, my grown son worships his wife, adores his children, and is still his mama’s boy! Love seeing my sweet cutie with her dad! Heather I am so thankful for your perspective and all you are doing to raise godly men. As I read your blog and listen to your podcasts I always did myself saying my girls would be lucky to marry a MacFadyen! Luckily there are several to choose from because it looks like we have some competition from the Cating girls! My after has three daughters…but the sweet relationship you’ve described is not ours. We were not physically amused, but there is no special relationship. I know it has a negative impact on my marriage too often, when I bristle at what I perceive as slights…but more often than not, it’s just life. Things neither of us control. We have three wonderful sons and I pray they find God-honoring and father-cherishing wives. Praying for God to reveal through His Word how treasured, cherished, loved you are. He crossed from heaven into earth to rescue you and can’t wait to be with you forever in heaven. Thanks for sharing your story here, Sam. I’m sure another mom read your words and could relate (even if auto-correct didn’t behave. . .;) ). blessings. I love your perspective! Such a sweet article! This was my first time at your blog, but it won’t be my last. so glad you found me Raegan!! Look forward to seeing more of you in the future. 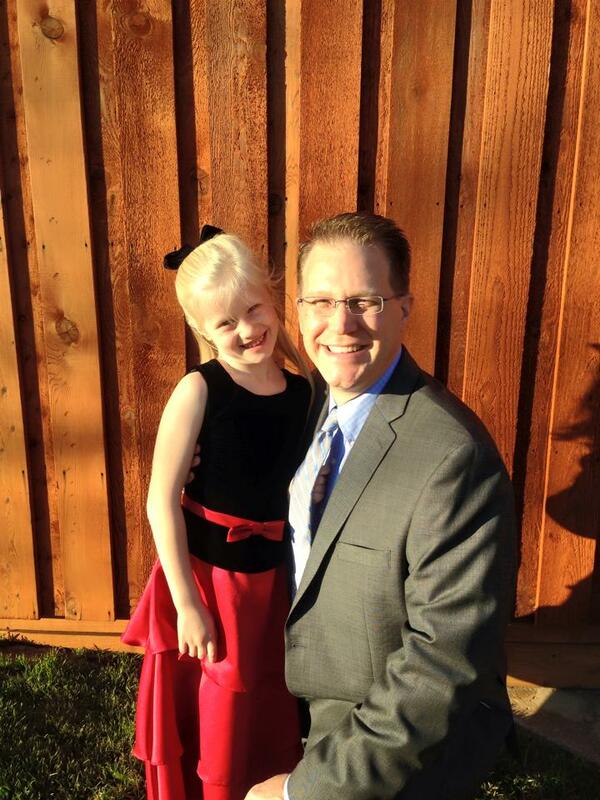 We hold a “Father Daughter Dance” every year and we love for Moms and sons to come as well. My two nephews are coming tomorrow and their favorite Aunt is getting them a corsage to give to their Mom. you are a fab aunt! what a great idea. thanks for sharing. My son’s school has a mother/son dance every year around the same time as the daddy/daughter dance. I only got to take him once but it is one of my favorite memories. that’s awesome Roxanne! I’m sure it was a great memory for him as well. On the night of our Daddy/Daughter, I have made my boys dance with me, the Mama. Of course they act like they don’t want to and maybe they don’t but all three do it. I have made them pick a song for us, and after we dance, they get dinner (bribe). It has always brought a lot of laughter and brothers “cutting in.” The main thing though is that they see that it is important to treat woman special. cute idea Ange!!! I’m sure they are loving it more than they let on. keep it up!!! Absolutely wonderful! Thanks and yes. thanks for the encouragement, fellow boymom! I just noticed that the picture of my sweet Daughter and Hubby are on the page as the most shared post. I love it! Thanks for your blog and podcasts Heather. So beautiful Heather! Thank you for a bigger picture point of view. And thanks for letting the Lord shape your heart to look like His for us to see.